Who doesn’t love a day of relaxation and good food? I’m definitely a fan! Slightly stressful for the last few weeks, I was in dire need of a little pampering. Well yesterday my day had came. Yes!! I was off to Alpharetta! Awesome Alpharetta! That’s what they say right? Well yesterday on my first time back to the Georgia city in several years, I could definitely see it’s transformation. Starting with one of it largest developments, Avalon. As I walked through the area on my way to my destination, I noticed all the great shopping and dining options. Pretty impressive! Pretty awesome you might even say. 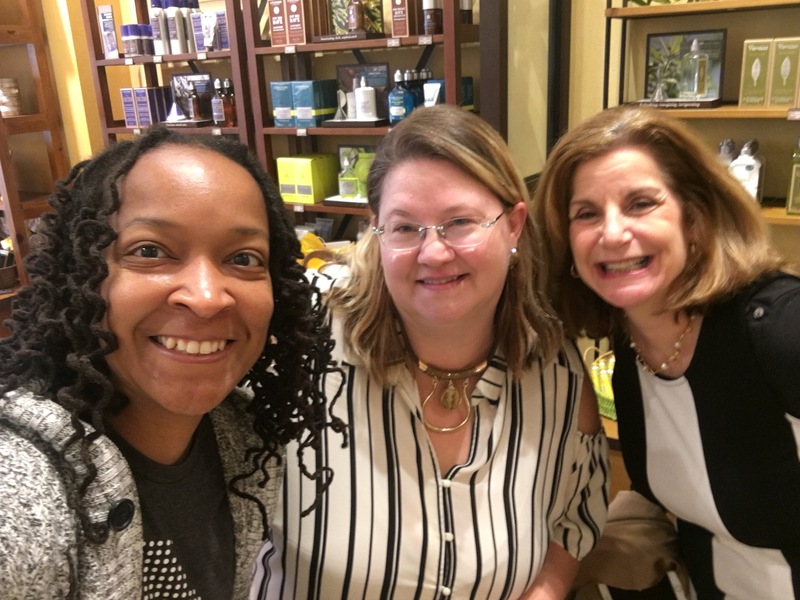 Today’s trip to Alpharetta was to meet a few amazing women of the Atlanta Food Bloggers’ Society for a day of pampering and fab eats. 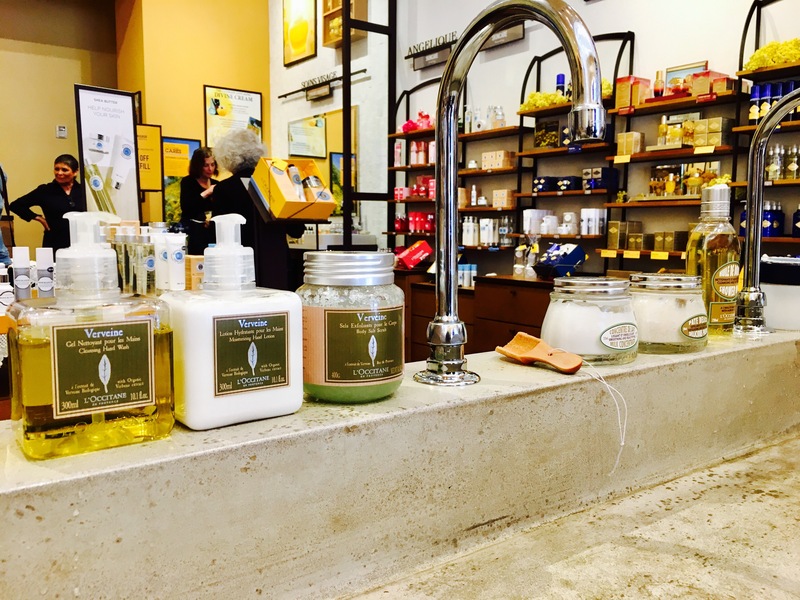 Our day started at L’Occitane for a morning filled with massages, facials, and mimosas! The soundtrack to set the mood was that of a woman playing a harp. Yes please! I. AM. HERE.FOR. IT. I started my spa day with an amazing hand massage. After washing my hand with the Verbena Cleansing Hand Wash, I followed it with the Verbena Body Salt Scrub to get all that dead winter skin off. Bye-bye! It was then followed by the Almond Shower Oil. It smelled amazing!! At this point my hands was pretty on point! But then the L’Occitane hand massage specialist came in with her incredible hands and gave me a much needed massage. She used their Shea Butter Hand Cream to lock in all that moisture. Yasssss. So apparently this hand cream is the business. One is sold every three seconds. Which means by the time I’m finsh writing the rough draft of this post, they would have sold 1,200 tubes of the tube of this awesomeness. Wow!! If your curious that’s $33,600 in one hour!! Double WOW!! Next station was to get a little facial rejuvenation from Kyle. I previously had met Kyle at the Buckhead location. He’s really great and very knowledgeable of all the prouducts. I knew I was in good hands. First he spritzed the air with the lovely scent of lavender. Mmmmmm. Then he proceeded to cleanse, tone, and moisturize my face, leaving nice and vibrant. Thank you Kyle! Enjoying a morning of pampering with Melissa & Toby! For over 40 years L’Occitane has been making skin products using the power of plants. Stop by and see what products would be best for your skin type. I think Teresa is enjoying her back massage. Right Teresa? Unfortunatly, I did not have time to get in on the back massage. I hear it was pretty amazing. Sad face. Still, I had a absolutely wonderful time! I will be back!! What an awesome team!! Thank you such a lovely morning!! 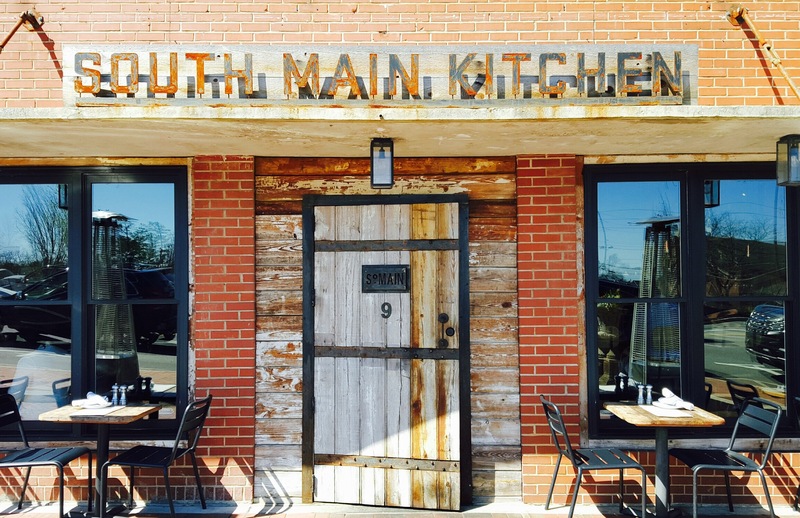 South Main Kitchen was our next stop on this oh so lovely day! 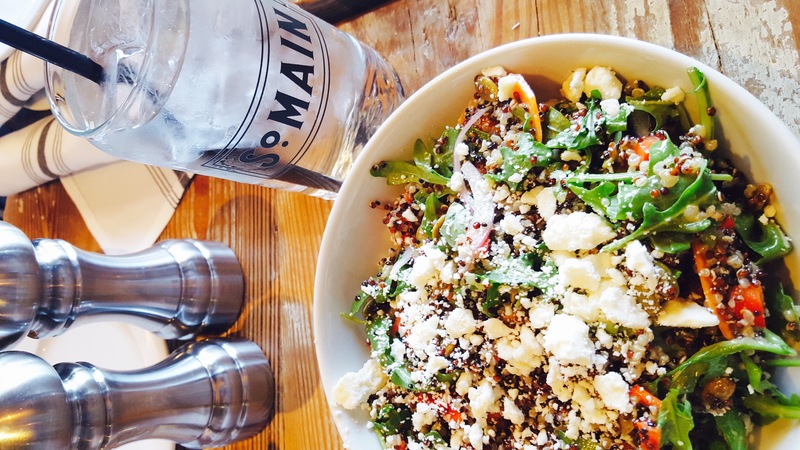 Located in the heart of the Alpharetta historic district, South Main is serving up an ingredient driven menu, bringing a unique dining experience to the ever so growing community. The restaurant is beautiful! From its rustic interior to the open kitchen, you instantly feel welcomed as you walk through the door. Our tasting yesterday was from their Sunday Brunch Menu. Check out what we ate! This salad was seriously good. It was one of my favorites of the brunch. Lot of flavor and crunch! I loved the bit of sweetness you get from the cranberries. Very nice. Another great salad. Beautifuly made with fresh ingredients. I loved the pumpkin seeds and feta in the salad. I loved this dish as well. 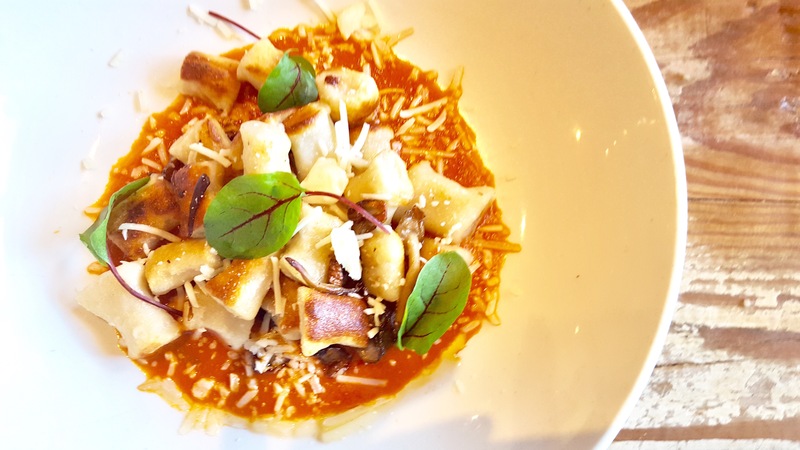 Gnocchi done right! Perfectly seasoned with a bit of crunch over some lovely wild mushrooms. Tasty! Delicious! I’ve recently become a major fan of brussel sprouts and have had some pretty amazing ones since my new found love of these edible buds. 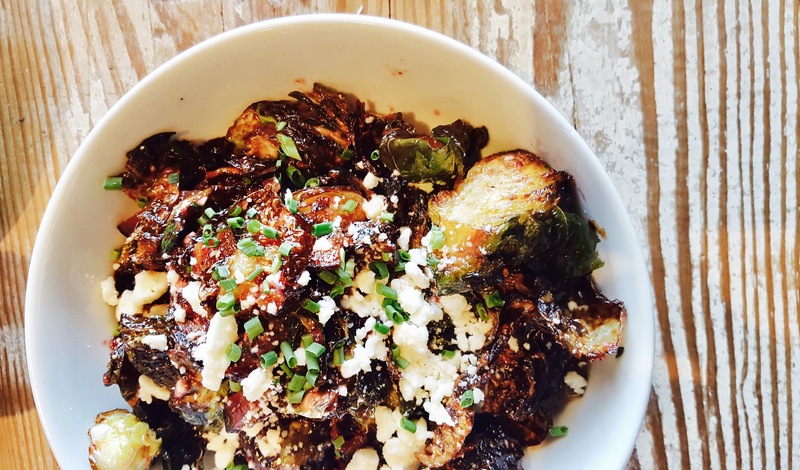 These brussel sprouts have been added to the list of the forth coming list of top 5 Brussel Sprout Dishes To Eat In Atlanta. (I just made that up.) Even so, It’s going on the list!! I really appreciated the creativity that went into this dish. It was somewhat unexpected that these ingredients went so well together. 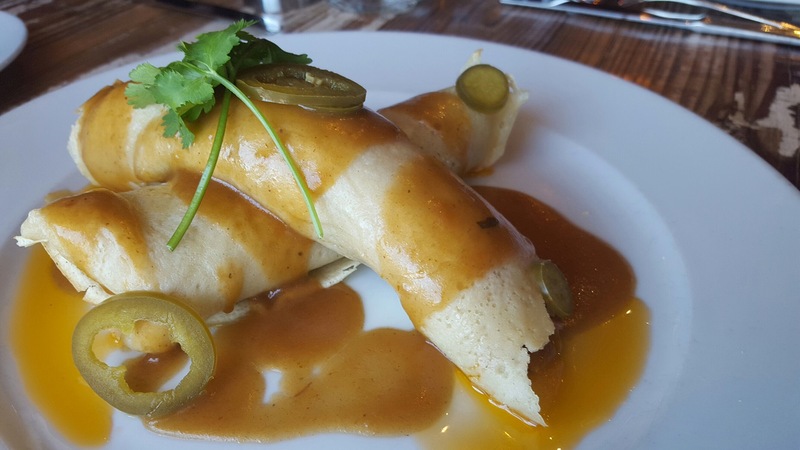 If you’re looking for something different, this is your dish. Who doesn’t love a biscuit??? I LOVE biscuits! My homemade biscuits are pretty amazing! I can be somewhat of snob when it comes to this delicious baked treat. This biscuit, I can honestly say, was a really good biscuit. Paired with the sausage gravy and you have a good ole southern experience! This omelette was very tasty! We even got a surprise appearance from a cauliflower. 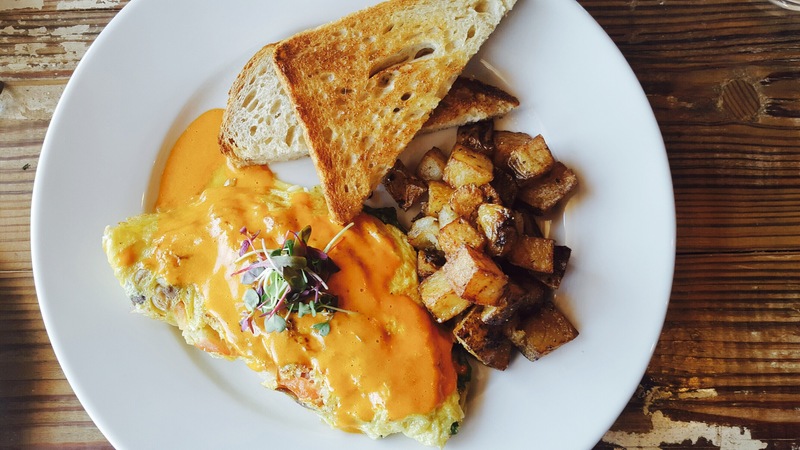 Cauliflower just might be my new favorite addition to an omelette! Beautiful smiles spotted through the open kitchen! BEST DAY EVER!!! I really enjoyed my time in Alpharetta. The pampering at L’Occitane and delicious brunch at South Main Kitchen was exactly what I needed! 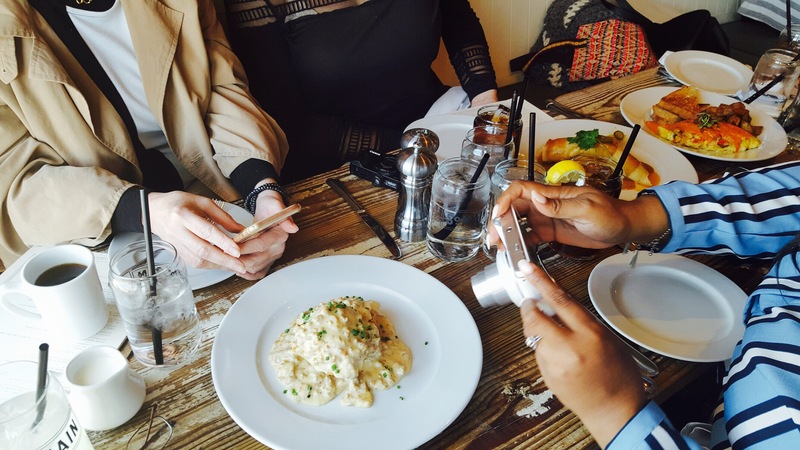 I was so glad that I was able to share the day with my homies at the Atlanta Food Bloggers’ Society. Good times!! Thank you to the entire L’Occitane team! You guys rock! 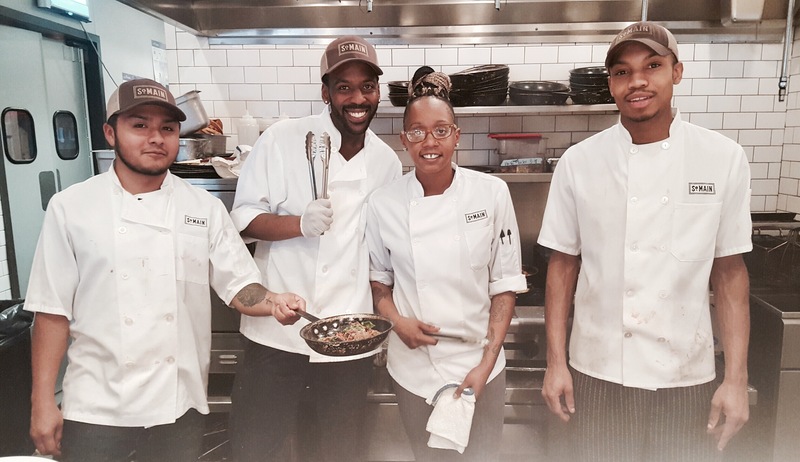 Thank you South Main Kitchen for hosting us for Sunday Brunch! The food was amazing! Thank you to our amazing sponsors Scout & Molly’s and Stirrings! Thanks for all the swag! Thanks you to all of the Atlanta Food Bloggers’ Society members that shared this fab day with me. Demetra, Shannon, Nikka, Linda, Denise, Nadeen, Teresa, Jennifer, and Toby. Huge! Huge! THANK YOU to Melissa for setting up this super awesome day!! You rock!! *I receive this incredible experience complimentary. All opinions expressed are my own.